Introduction: Introduction typically consists of a minimum of three sentences in length. The first two or more sentences will be about the background information about the topic, and the last sentence of the introduction is the place where you have to give your thesis statement. Thesis statement is the place where you should make three points to set the pace for your body paragraphs. Body: You must divide your topic into three divisions, because you need to write three body paragraphs in a formal essay. The first body paragraph will cover the first point of your thesis statement. A formal body paragraph usually has to be in 8 to 12 sentences in length. You will begin with a topic sentence emphasizing the first division of your thesis statement. You should mention in detail what you mean by your topic sentence, and you should conclude your first paragraph in a way that it is linked to your second paragraph. Now, you should proceed to the second body paragraph. Second body paragraph will explain the second point of your thesis statement. This paragraph will also consist of 8 to 12 sentences. The topic sentence of the second body paragraph will be linked to the ending sentence of your first paragraph. You will follow the same procedure for your 2nd body paragraph that you follow for the first paragraph. 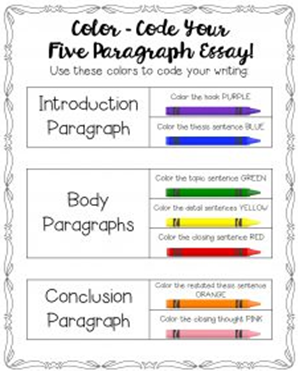 You should write your last body paragraph in the way that you have utilized your 1st and 2nd body paragraph. Conclusion: The concluding paragraph will contain a few sentences that will summarize the main idea of your essay. It is also the point where you will restate your thesis statement. This is how you should write a formal essay. You also have the option to take help of a custom essay writing service to write an essay for you. Custom writing service can also help you in completing essay term papers, academic papers, admission essays, compositions, coursework, book reports, case studies, thesis, dissertations, and so on. Students are highly encouraged to take help of custom essay service. All they have to do is to fill in the form at essay writing websites to place an order for their essay.